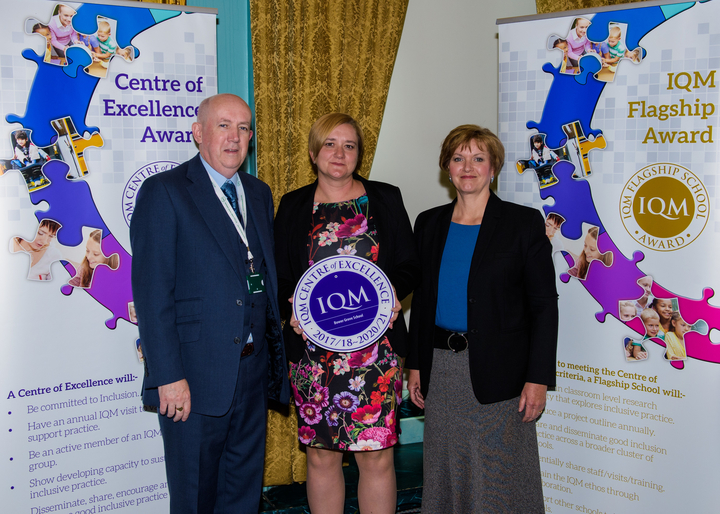 Bower Grove School in Kent has achieved Centre of Excellence status. Initially the school applied to be assessed for the Inclusion Quality Mark. During discussion with the IQM assessor, the school requested to be considered for the Centre of Excellence Award at the same time. was said by one of the parents from Bower Grove School as she talked about her son’s previous experience of schooling compared to the outstanding progress he has made since joining the school. The school presents as a happy and productive learning environment with children interested in their learning and making good progress. All staff are passionate about the work that they do and ensuring that pupils, who may not have had a good start in their education elsewhere, catch up and begin to enjoy their learning in a school setting. On a tour of the school, younger pupils were proud of their written work and keen to talk about their learning. Some older pupils were eager to explain why they liked the school so much and how different they felt now than previously. During a discussion, three KS3 pupils spoke about all the Special Schools in Kent coming together to do joint musical and dance productions. They enjoyed choir and music club trips. All pupils who had gone on the Challenger troop initiative, a team-building residential experience, explained how much they had learnt from being away from home. In addition, they spoke about how much they benefitted from work experience with one girl mentioning that she had been offered a permanent position following her placement in a local hotel. She explained how nice and kind everyone was when she had joined the school and how much teachers had helped her settle in. The work of the school council is taken seriously by the members. Pupils enjoy the responsibility that they are given. Reward systems are clear and highly motivating to pupils. They cover all different areas to help pupils develop their self-regulation skills. Eating in the canteen at lunchtime was orderly and calm as children work towards gaining the “Golden Spoon” award for the best behaviour in the canteen with the reward of being first in the queue for the following half term! Pupils enjoy the termly reward day. The school choir is a new and positive development in the school. The Governing Body includes people with a range of skills and talents, following a skills’ audit. They assist Governance in other local schools to disseminate their good practice.